Not everyone that wants a bike helmet is after the race-prepared look, and the Urban I is one of a growing number of metropolitan-styled lids for the city commuter. It's a good one, too, with a pleasing range of features, and it's light and comfortable as well. 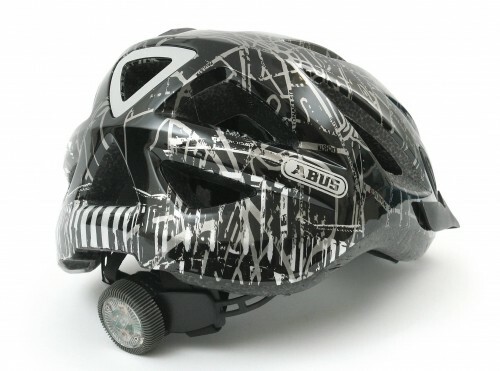 Abus make their helmets using an in-mold process to bond the shell to the EPS foam, and the Urban I conforms to the European EN1078 standard for safety. 15 vents and air channels inside the lid keep you cool and there's a removable peak to the front and bug mesh to stop unwanted visitors to your scalp. Round the back the rear triangular vent is highlighted in reflective material and the retention system incorporates a small LED unit for after dark. The most noticeable thing about the Urban I straight out of the box is that it's really quite light. At 265g it's comfortably lighter than Abus' similarly priced road offering, the S Force, and that coupled with the comfortable fit (for me, anyway) rendered it unnoticed for most of the test period, which is a good thing for a helmet to be. Venting isn't up to the standards of a top road lid but it's effective enough. The rear LED is a nice touch as it's at a good height to be seen by traffic. It's not meant to replace a bike-mounted light but as an extra safety feature it's very welcome, and Abus even throw some spare button cells into the box. We haven't run ours down yet though. There's a range of finishes available; ours is the 'map' one that's covered with a stylised street map of Berlin. We'd probably plump for the tweed one if it was our cash, but there should be something for everyone. At £50 the Urban I represents decent value too. My one gripe was that the rear retention system sat a bit low and hit the top of one of our test rucksacks. It's not a big issue but other urban lids have a more recessed retention strap to better accommodate backpacks – which commuters often use – and we'd like to see Abus follow suit.